Whilst I’m not looking/asking for a strategy I’m wanting to know how people recover their accounts. Personally I limit my losses and if I lose my account back to a pathetic balance I use discipline to make small improvements. But I’m genuinely interested to hear others thoughts as I believe if you can grow a small account then you certainly can maintain a larger one. Plus you have your emotions in check by then. The biggest issue you will always face is that you are undercapitalized. There just isn't enough money in the account to make it worth your time. I mean, if you have a 20% gain in a $2500 account, that brings up the balance to $3000. That isn't a big deal in the scheme of things. Until you have at least $100,000 in an account, you should think of it as a hobby at best. There are no real profits until then. @Ms Pip Hunter, I'm on Chris's side. While there are many traders (I think) that have repaired 50% or more trenches in there account I am not one of them. I do great with my other accounts scalping and long-term and a lot of testing but in my Ron account, I am beginning to have serious doubts. Simply put try as I might I can not master the .01Q trading. 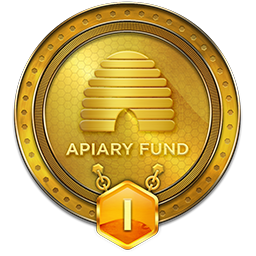 BTW if suspended you don't have to make it all back Apiary/Ron will reset and allow you to redo the 100 Century and then your free again. Beyond all of that - if you make $200 in that same year - your fees through Apiary works out to be $780. So you are still down $580. This of course suggests that you are still at only the first funded level of $2500, which I assume you wouldn't be....but you get the point. The math simply doesn't work out until much larger accounts. @Ms Pip Hunter, if you have done that in a live real money account, you do not need us. 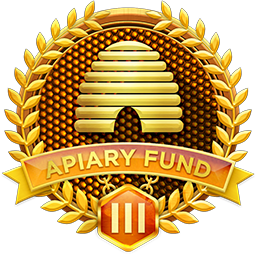 Apiary needs you! Lol no I need the structure and other things. But one of my mindsets is I always want to learn what worked for me when Larry Williams taught me doesn’t work know. So I’m trying to get a handle on the platform now and using the low levels to get a feel for it since there’s querky features then when I hit silver it’s nose to the grindstone. I want to refine my approach and make it black and white with a little grey. I’m also wanting to look at the best way to harness the 500+ pips a day that I get so it’s money management that I need to assess and all knowledge is welcome in my world. 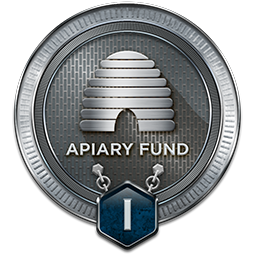 @Ms Pip Hunter, money management is the Apiary Fund-Shane specialty. And if you have been trading since the Williams days understand the market has changed due to the increase in money supply (not to mention auto trading) you time cycles have been decreased by 50% or more depending on the dates referred to. No BS Jeff has run the spreadsheets, Bloomberg has reported it, it is a factoid, and most likely will not move to our favor anytime soon. Totally agree with you that the market has changed and I need to change with it. Thats why I want to continue to learn and grow. Not forgot just augment with you obviously in-depth knowledge for a superior trading experience. "Personally I limit my losses and if I lose my account back to a pathetic balance I use discipline to make small improvements." so, which is it? ...you are consistently disciplined or discipline only matters once your account has taken a beating? ...i'm genuinely interested in hearing more. If you are funded, your goal should be to not to take a loss year-over-year as Chris_4 mentions as a real possibility. Can your trading cover the tech fee and then some? If not then you can inject your own funds, (here that would mean paying your tech fee out of pocket( do better, or quit. That is essentially how small businesses operate, and that is the question everyone that trades will need to face. Is it worth your time at a 2500 account level? That is also up to you. Some people generate enough consistent profits to make even that size account a lucrative 'hobby' (and then get increases in funding). And of course, some don't. What "real profit" (not a super useful term) means depends on one's standard of living and is therefore subjective; I'd submit that it needs not be tied to account size, though obviously the larger the account the easier it is to achieve any given income level as you can take much less risk relative to account size for the same reward. OK maybe I should rephrase what I am asking and put a bit more background info in place. For me I personally have a 3 losing trade or 2% loss a day limit. So to explain this in more detail if I have 5 trades running and 3 are looking like hitting my SL which is could be a full risk or could be a smaller risk value due to the trade I took. So if all 3 hit and the % loss is say 1% I still walk away for the day, if I have 2 losing days in a row I walk away for the week. Now as for the recovery side of things it is more about those situations where all rules were thrown out the window and revenge trading took over and next minute we only have 2% of our account left. We all know that is happens whether it has happened to us is not the discussion it's more about do you give up and find a new venture, do you review your journal and try and identify the mistakes, do you assess the strategy and blame that or do you slap yourself about the proverbial head, drop back your position size and start again this time with a firm set of rules that you must/try to adhere to? So for me part of my strategy is a % gain each day in 3 parts. The higher the % is the top goal, the middle % is ideal and then there is the % I am happy with. As we all know trades can present at any time and they can take hours to become profitable. So if it has taken 8 hours to get my happy with % then I take it, however if for some reason I get the ideal or top goal within a few hours I say thank you very much see you tomorrow markets it was a great day. This is where I potentially will be told that my strategy is wrong because I am not capitalising on the day, but I would rather be happy with my daily goal, and miss pips than to get cocky and give my profits back. Hope that helps clarify my position and what I was wanting to know. Ms. Pip Hunter, this happens today in four on my accounts ranging in account size from 5K to 20K. And my old silver account with is set at 50% less risk. As I only trade two pairs EURUSD and GBPUSD I must work within the confine of the USD sentiment. Overall I lost about 1,500 pips this morning because I was stupid and had the wrong time in my head for the news and went to eat... I got fat and my accounts got a starvation diet. In my Silver account, I was closed out because I overleveraged at the end because while I made my pips back I wanted my equity back. In my other accounts, I have made all back, pips, and equity. I am waiting for the last account and one more wave of PA to close this one out. I have used lot sizing from .05 to.5 but mostly .1 with mostly a 10 pip TP and my SL is always 25 pips. So it has taken a lot of trades and waiting on the PA with great patience and a nap or two. Did I revenge trade, sort of but I planed my trades with an overall attack for a minimum of a break-even outcome by building positions with the major trend? I have attached one account that was short 400 pips after the news. I do not like losing. That said Alveo did always cooperate when switching accounts with downloading data disconnects. @Rookie you sound like me. I always start my trades with a 25 pip SL as I set it automatically then adjust to where I want it sometimes 10 pips but with Gold and GJ I move it out to 35 pips or the previous pivot. Whilst trialing Alveo i took a hit on the $10k account and dropped it back to $9.5 but today I must have had the pip sandwich for dinner as have banked 485 pips and all but recovered the account back to $10k. But what I need to learn is how to scale into a trade as I feel I am flying by the seat of my pants with that and I think that is part of the recovery process. If I need to recover from having an SL hit, I adjust my TP's a little. Now that I have finally figured out the Time and Price Cycles I realise that I am cautious and I pull out of a trade earlier than I should therefore when a SL is hit I have a buffer in my projected TP's of my next trade and I try to pick up a handful of pips there. But I think we all switch off occasionally and we need the reality slap but we never want it to be that big. Ms. Pip Hunter, supper question, I'll do my best to answer as I'm still just a rookie. A few basics to observe. 1. rule number one, protect your capital. Fading, I what Shawns Trading Room sessions. He is da Yoda master. Depending on the urgency of PA he will place several at once or just 1+1+1+1+1 until having about equal positions on both sides of the center line. I will do the same except I don't trade the 1M and seldom the 5M usually 1H is my lowest. As I like to trade a trend I will not have balanced on both sides but build a position on the side of the major trend. If placing a trade or two on the contrary trend it depends on the spread as it will not usually move as far as the major trend move. A great example would be Lindsey aka triguy, he has posted several trade sheets where is fading in and out. I would bet every time most anyone and me for sure when an account hits the 5% it's because they disobeyed the not more than 50% of available positions rule. I am now experiencing a need to recover. This info is great as I just need to make some minor adjustments. Successful trading is a continuous learning and education process. Having different "tools" in the shed and knowing how and when to use each tool has proven valuable to me. "FOCUS ON YOUR PERFORMANCE AND EXECUTION, AND MANAGING RISK, AND YOUR ACCOUNT WILL GROW." if you must, go back to your simulated account or an account outside of alveo and study the trades that worked, the trades where you followed your setups...study what you do when you are at your best and begin to reinforces those behaviors, thought processes and execution.